78% of new buyers start their home search online. Put your home there! 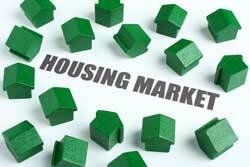 The Internet has made possible entirely new methods of real estate promotions and sales. Now home listings can be put online and accessed by realtors and prospective buyers from all over the planet. Our brokerage is one of the few that makes sure we explore all the promotional methods in marketing your home to sell – on the ground or over the Internet! If you want your home listed online with us, please contact Dawn-Lee. We will get back to you to arrange a time to discuss our marketing process. We will help you determine what your home or cottage is worth and update you on the current market trends. How much is your Bruce Peninsula home worth? Keeping up-to-date with the value of your property is no different than any other investment – you need to keep your eye on its value at regular intervals. Doing this helps to ensure that you’re neither over-investing in your home, or that you’ll be caught unawares if values change suddenly. Get your home evaluated every year or two by a qualified real estate professional. We can perform this service for you without cost and without any obligation. To have your home evaluated, please contact Dawn-Lee and tell us about your existing property. Naturally, everyone wants to get the best price possible for the sale of their home. But if you start out with a high sales price, then have to drop it later — your house becomes “old news”. It will be difficult to recapture that new-to-market frenzy of initial interest you might have had with a more realistic price. As a result, your house could take longer to sell. Much longer. If you are able to successfully sell, at an above market price to a naive buyer, remember that your buyer will need to get a mortgage. The mortgage lender will require an appraisal and if comparable home sales over the last six months, and current market conditions don’t support your sales price, then your buyer won’t get the mortage. Your deal can fall apart. By then, it’s often too late to renegotiate a price. Your house will have to go back on the market. If your home has been taken off the market and comes back on, or if it sits on the market too long, it becomes harder to get a decent offer. Prospective buyers will believe that you might be feeling the pressure to sell quickly and, as a consequence, will make lower offers. The irony is that overpricing your home at the onset may end up giving you a lower price than you might normally have received! The best way to establish your selling price is to get an assessment made in advance and then, with this information, take advantage of your agent’s experience to establish the right price. In the long run this almost always works better than trying to force a high price. Please complete the contact Dawn-Lee form to have a FREE EVALUATION of your property’s value. The information you provide below will be kept confidential and will not be used for any other purpose.